Oisín O’Neill is the best in his family at feeding the chickens, dancing with abandon and keeping everyone to their routines. He’s a slender boy of eight, with the whitest of white blond hair. 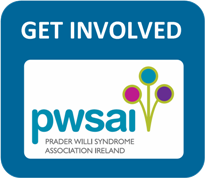 Oisín also has Prader Willi Syndrome. And this is his story. Oisín is a tryer. It’s really hard for him to ride a bike, run for very long, do his school work, or even speak very well. But you should see him trying. He’s the oldest of five children, and proud of it. He likes hurling, rugby, farming, Ben 10 and Batman. And he’s brilliant at jigsaws. This documentary tells the moving story of his birth, his life, and the people who love him. 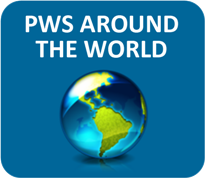 Prader Willi Syndrome is a rare genetic disorder with a collection of intellectual, emotional and practical difficulties. For Oisín’s family, behavioural issues are the biggest challenge. He has a preference for predictability and order, and anything that disrupts his expectations, or upsets him can lead to tantrums. But the most well-known symptom of Prader Willi is to do with food. Oisín has a deletion on Chromosome 15, which means that the part of his brain that tells him that he’s full after eating doesn’t work, and so he feels constantly hungry. As well as this, Oisín’s body needs less calories than a regular child, and so his diet and access to food are strictly limited. 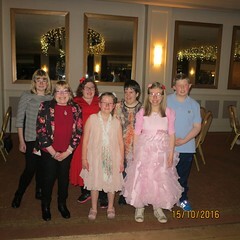 This documentary traces the challenges ordinary and extraordinary that come with having a child with Prader Willi Syndrome. Oisín O’Neill lives in Monagoul near Ballymacoda in East Cork in the red farmhouse where his Nanny Kitty was born.